The largest gathering of museum professionals in the world, the American Alliance of Museums Annual Meeting, runs May 26-29 in Washington, DC. This year the meeting explores how themes of power, influence, and responsibility shape the work of museums locally and internationally. 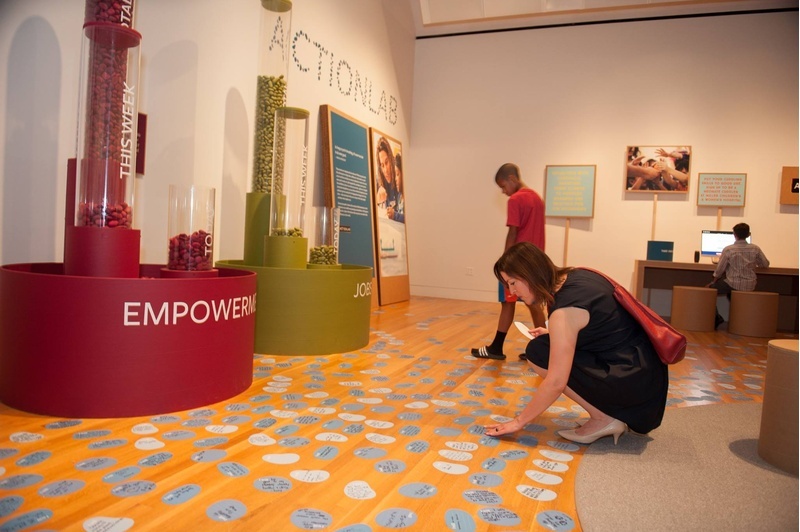 On May 28, C&G Managing Partner Jonathan Alger and Skirball Cultural Center Vice President Sheri Bernstein will be on a panel together to discuss learnings from our exhibition A Path Appears: Actions for A Better World. Trailblazing exhibitions at the Oakland Museum of California and San Diego Museum of Man will also be discussed. The panel, Papa Don't Preach: Compelling Issues-Based Exhibitions, delves into how we can create museum experiences that address serious societal issues, do justice to complex topics, provoke deep reflection and constructive action taking, and draw visitors who have competing options for their time. Participants include Jonathan Alger, C&G Partners;Sheri Bernstein, Skirball Cultural Center;Ben Garcia, San Diego Museum of Man; Kelly McKinley, Oakland Museum of California; and Lisa Sasaki, Oakland Museum of California. The panel takes place Saturday, May 28, from 2:00 - 3:15 pm, at the Walter E. Washington Convention Center, Washington DC.